Gosh 2nd of December, the weekends are flying by, but at last I have most of my Christmas presents wrapped, and only a short list of stuff left to buy!! For this weekends tutorial I am sharing a fun printable, because I love an easy craft that you can just print, cut and stick together!! 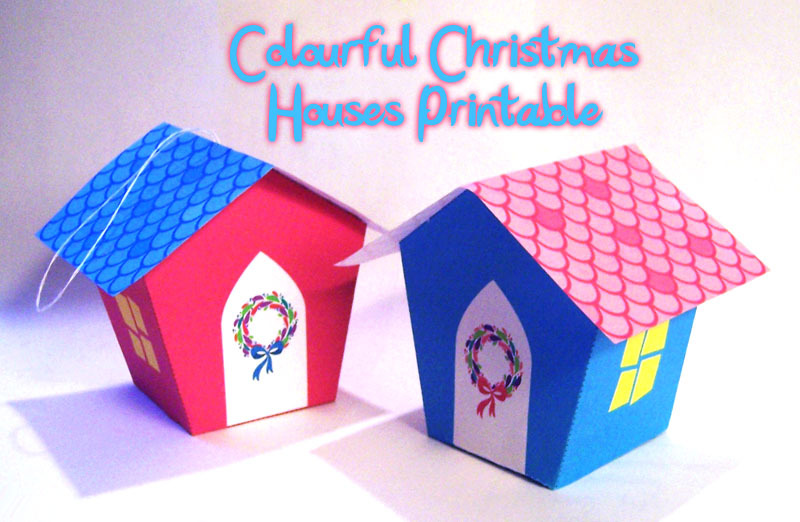 These colourful and happy Christmas houses look adorable as ornaments, or decorating your fireplace. Maybe even as name holders for the dinner table on Christmas day! To make them simply download the files above (in pink and blue). Print off the file onto white card stock. Cut around the outside (along the solid lines) and then fold along the dotted lines. Using glue, or double sided tape fold the box close using the tabs. 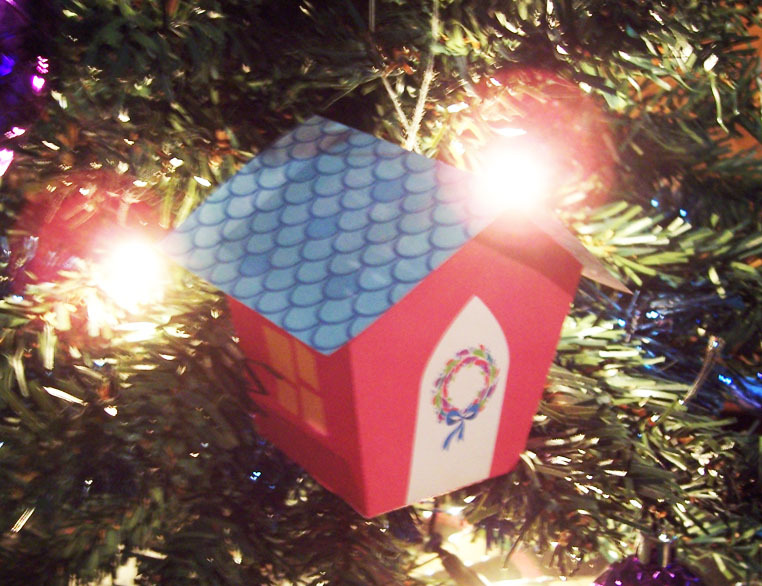 You can add a piece of cotton thread from the roof to hang them on the tree if you like. This entry was posted in Christmas, Christmas 2012, Christmas Tutorials, Paper, Printables, Seasonal, Tutorials on December 2, 2012 by Handmade Cuddles. These are fab – thank you!